It's getting in to Summer season and one of the things we love to do is get out and about and visit places especially in nature. 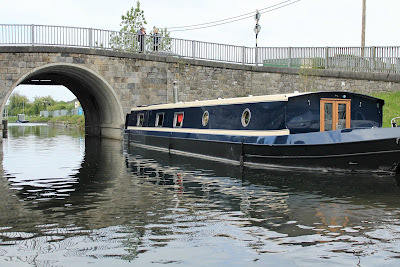 I had to write a post about our outing this weekend because I'd really recommend a Barge trip with Bargetrip.ie. I am currently writing a post in collaboration with Provident UK on things for teens to do, featuring a barge trip as one of the possible activities but I thought that the trip merited its own post as we really enjoyed it and I got some lovely photos en route. We opted for the Digby Lock Cruise which is a morning trip, starting at 10.00 a.m. We were really lucky with the weather especially as rain hit in the afternoon! 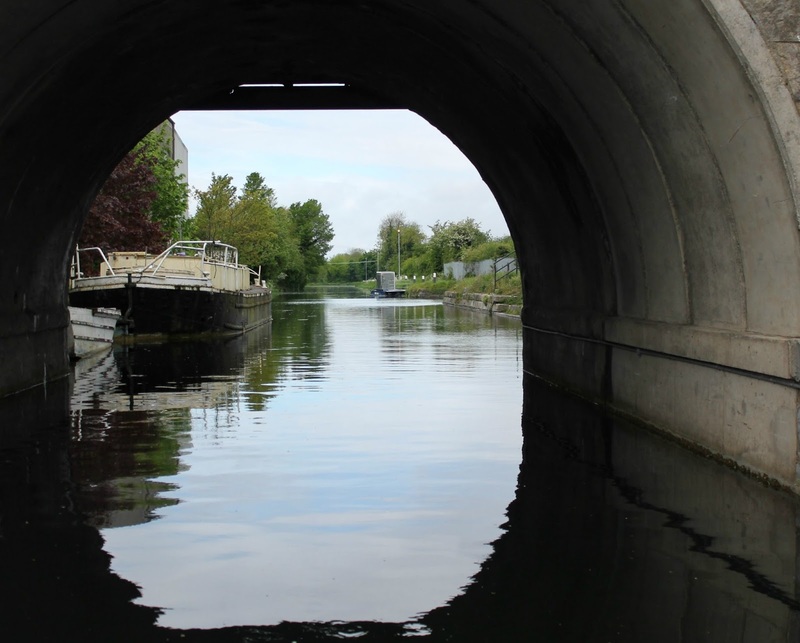 We headed to Sallins - the canal is really colourful and pretty at the set off point with lots of boats bobbing merrily and the bright reflection of the water. We were greeted by Ger, the skipper and hopped on board There were a few other guests but plenty of room for everyone and inside the cabin is lovely and cosy with the stove going. The boat goes at a leisurely 4 miles an hour but it's amazing how quickly you feel you're in another world. There is something so soothing about the rocking of the barge and you definitely have a sense of being away from all the usual hustle and bustle and stress. I love taking pictures of course, so that's what I was doing mainly - there was so much to see and although I was a bit too far away to photograph everything, some of the highlights for me were swans nesting in the rushes, a solitary regal heron and the most adorable family of baby ducklings. We could also see people out strolling with their dogs and there was such a lovely sense of peace. We pulled in at one point over the Liffey and Ger told us some of the history of the canals and the area we were in. It's absolutely fascinating to hear about, and imagine, a world gone by where the canal trips were a big progression from horses and carts. We went on further and through the Lock. Since I was a kid, I always found Locks intriguing - I'm not sure why exactly, maybe it's the idea of people controlling the water, it seems like such an immense thing. And I suppose it is, in a way - the nerd in me had to do a bit more research and I discovered that Pound Locks were first used in China during the Song Dynasty which was from 960 to 1279 AD! 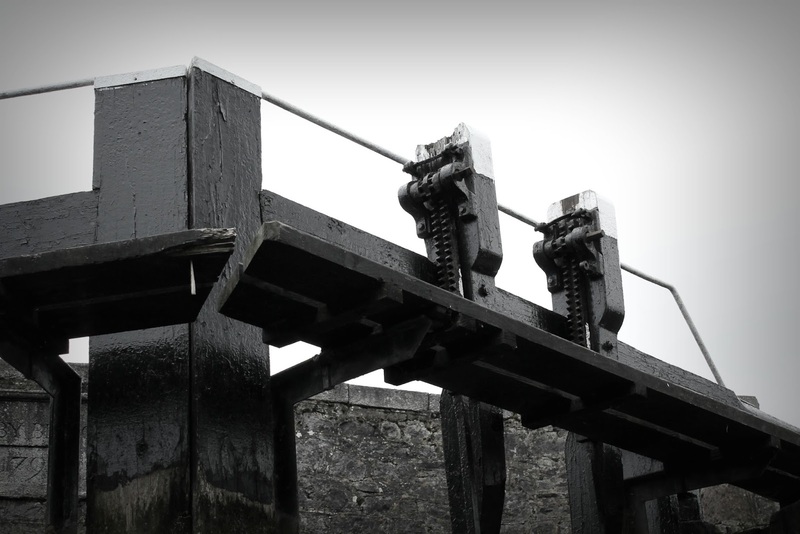 The clever engineering used to overcome obstacles and make the water more navigable was no mean achievement. We went a bit further - passing this gorgeous house and after a time turned to head back. 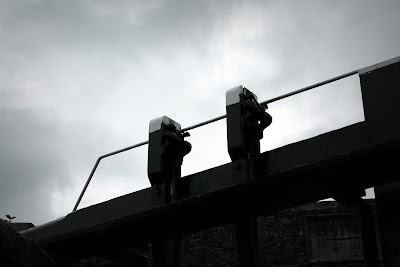 a good natter about photography. The atmosphere is very chilled and relaxed so it's easy to enjoy. I'd totally recommend it - I guess it's a bit weather dependent but you can always bring some raingear if the weather is showery. Thank you! It was fab. 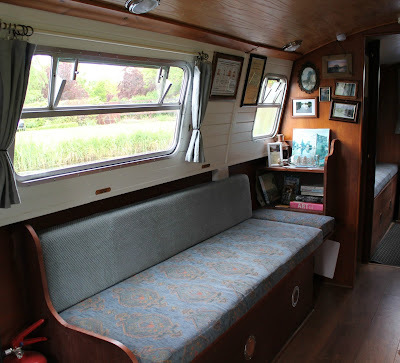 Our family has always wanted to go on a barge trip - and now the kids are competent swimmers it makes even more sense! This looks like a great trip and there seems to be a nice community in barging with friendly people - right up my street! I'd love to do a longer trip, I just found it so relaxing! oh it all sounds lovely, i get terribly sea sick but i would hope that going so slow wouldnt result in any sickness at all! Yep, it's a lovely way to spend some time! Yea, I'd be a bit nervous if my kids were little! Looks like a great family day out; I know my crew would love this!